How Did Frankie Muniz’s Cat Destroy His Entire Apartment?Jeri is an agent of chaos. North Carolina Is Still Underwater From Hurricane MatthewWhile his sister, Hurricane Nicole, slams Bermuda as a powerful category 3 storm. 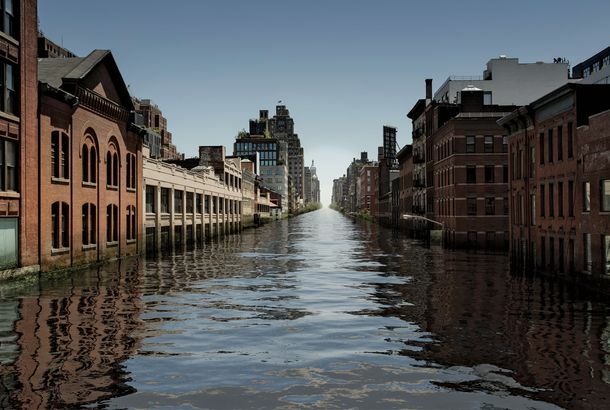 When Will New York City Sink?A city in climate-change denial. Wendell Pierce Loses Baton Rouge Home to FloodingPreviously, his family home was destroyed by Hurricane Katrina. At Least 4 Die, Thousands of Homes Damaged in Record Southern FloodingPresident Obama declared a “major disaster” in Louisiana. Long Island Flooded Last Night, Leaving Cars FloatingA month’s worth of rain in an hour. Rescuers Evacuate Colorado Residents Following Record Rainfall and FloodingThere’s even more rainfall expected this weekend. The Future of Bien Cuit’s West Village Location Is TBD, But Here’sThe Smith Street bakery’s Christopher Street location remains closed. Ray Kroc’s Original McDonald’s Flooded in Des Plaines, IllinoisThe worst kind of soggy fries imaginable. New Yorkers Suddenly Remember What Exactly They Had in Those Storage LockersNow that Hurricane Sandy flooded them. Brooklyn Is Under WaterLike, literally. Record Rainfall Floods Basements, Ruins SausagesA number of restaurants in Chicago experienced flooding over the weekend.